Had to make a couple calls regarding deer hunting in 2010. First I had to decide whether to purchase a landowner tag in Nevada again. I paid $4,500 for the tag in 2008 and 2009, a price that I thought was maybe a bit high, but it gave me some amount of control over the tag for future years, so I figured that added a little value. My hunting partners decided to pass in 2010, leaving me the option of purchasing two tags, one for me and another for a hunting partner. I checked in with my first two choices and they didn’t want to spend that much money for a tag. I could have purchased one tag for $4,500, but decided that my budget was $3,500 this year. Business is down and it makes sense to have a budget. So, I told the landowner that I could only do $3,500 – essentially declining the tag, but he could have changed his mind and accepted $3,500. He didn’t. I went to the WHCE at the Salt Palace armed with my $3,500 budget. It took me a couple days of shopping to pick out the hunts that peaked my interest. It came down to a Montana deer/elk combination – seven day pack trip for $4.500, a Montana mule deer/antelope ranch hunt for $2.500 or a BC 7-day mule deer/white-tail combination hunt in November for $3,250. All three prices are for two hunters to one guide. A big difference in total cost of these trips was tags. In Montana the guaranteed tags would add $1,500 for deer/elk and $1,250 for antelope/deer, while the BC tags would cost about $500 total for the two deer species. I figured that travel cost would be basically the same for each of the hunts – in the ball park of $600-$700 for plane, taxi and possible overnight hotel stays. Out-the-door the BC hunt price came closest to matching my budget and also filled my personal hunting desires as I’ve never bagged a white-tail deer. And, it kept open my chances for a big mule deer as well. Kiff Covert, of Dome Creek Outfitters is our guide/outfitter. I put the check in the mail yesterday. SALT LAKE CITY, Utah – The Mule Deer Foundation (MDF) and Sportsmen for Fish & Wildlife (SFW) put together a record-breaking event for this year’s Western Hunting & Conservation Exposition (WHCE) held Feb. 11-14, 2010, at the Salt Palace in Salt Lake City, Utah. Exhibit hall attendance exceeded 25,000, and daily seminars and evening events were at capacity, entertaining well over 3,500 people. The sale of more than 60 big-game tags raised over $10 million for wildlife conservation. The Utah Statewide Mule Deer tag brought an all-time high of $260,000, and the Arizona Statewide Mule Deer tag sold for a record $177,000. Hunters had the opportunity to purchase or enter drawings for tags worth over $2 million. Over 350 exhibitors displayed and sold products at the Expo. Attendance and sales were so good that next year’s hall is already half sold out. According to many vendors this was one of the most successful sports shows ever. Keynote Speakers for the event were Wayne LaPierre, Chief Executive Officer of the National Rifle Association (NRA), and Larry Potterfield, Founder and President of Midway USA. World-class entertainment featured Josh Turner, Jo Dee Messina, and Western Underground (Chris LeDoux’s band). The USA Shooting Team was also involved with the Expo, and attendees had the opportunity to meet these great Olympic athletes up close. A one-of-a-kind USA Team long rifle was auctioned at the WHCE and raised $51,000 to benefit the Shooting Team. Next year’s WHCE will be held Feb. 3-6, 2011. The Mule Deer Foundation is a national non-profit 501(c)3 organization, with over 12,000 members. MDF’s mission is to ensure the conservation of mule deer, black-tailed deer and their habitats. For information about MDF visit www.muledeer.org. Lola couldn't take her eyes off my limit of greenheads. I’ve been a little reluctant to make this post. The last weekend of the season can be rough – or it can be great. And, knowing the pain of a poor final weekend, I hate to rub salt in somebody’s wounds. Not just that, but for the last couple of weeks I’ve been under the weather and not in a blogging frame of mind. In fact, I was sick on the last weekend of duck season and didn’t even hunt the final day. 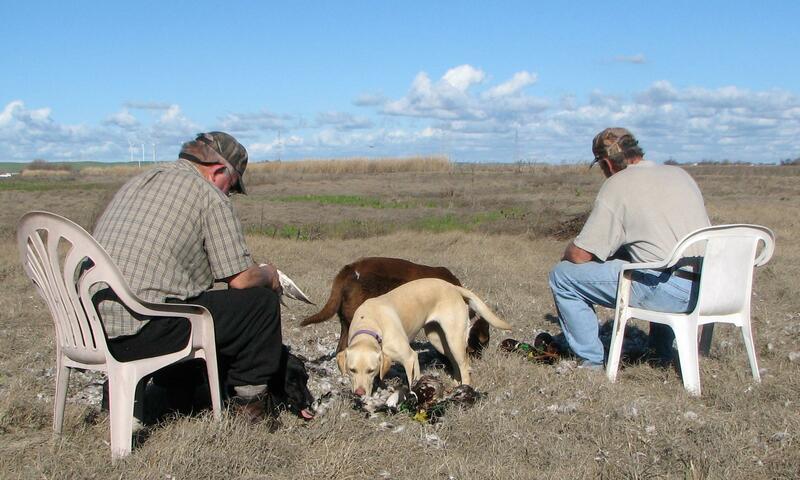 Good thing for me, my hunting partners had only a 1.4 bird average on the last day. But, that wasn’t the case on the final Saturday. 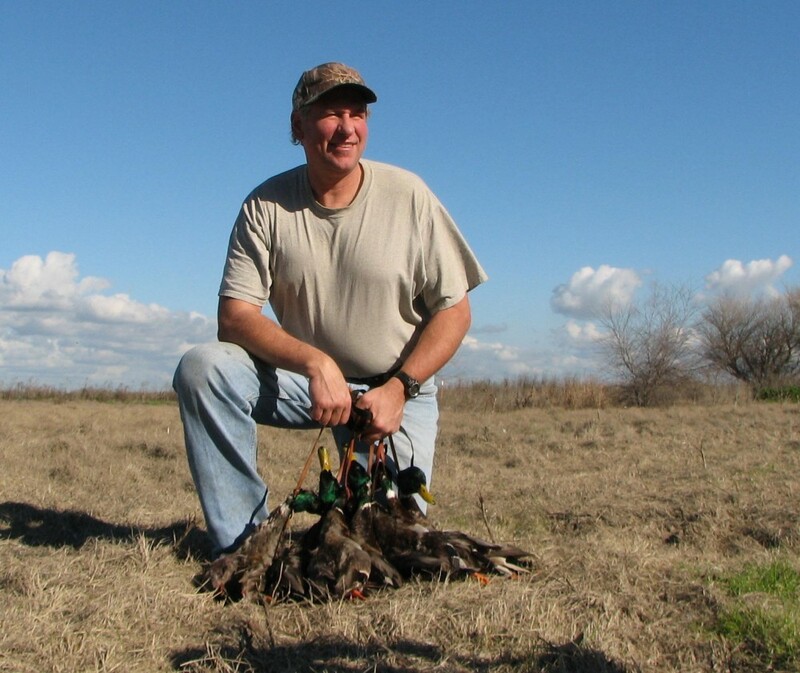 It was a greenhead bonanza. Mayberry was loaded with ducks, many of them mallards. I hunted a mallard pond and saw almost nothing but mals. They came in by ones and twos and before you know it, I had six drakes on my strap and another out in the field. As my friend Fred came out to replace me, I decided I’d had enough and dedicated a half hour to searching for the downed drake that went down about 200 yards to the north of me. Created a little work for ourselves, but the dogs love sniffing those feathers. I don’t know Larry Potterfield, but today I know a little about him. 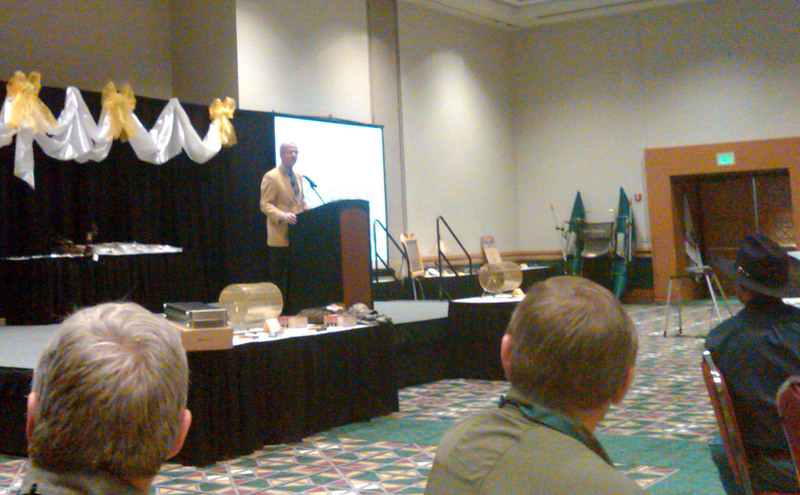 He was the Key Note speaker and Sponsor for MDF’s Saturday night event during the Western Hunting and Conservation Expo. And, did he ever lay it out. Here’s a man who understands the meaning of walking softly and carrying a big stick. He also addressed the MDF volunteers at the Volunteer Recognition and Life Member brunch earlier in the day. Some of his messages: Work hard, have a good business strategy, foster teamwork, reward your workers, create a model that works and have confidence in your plan. And, the volunteers were interested in what he had to say. He spoke about MidwayUSA’s “Round up for NRA” program where they raised millions of dollars by taking donations 50 cents at a time and also about the local cocktail party at his home that evolved into the “Friends of the NRA” one of the most successful fundraising programs around. He spoke of the Potterfield Family Foundation and his desires to expand their financial support for hunting and fishing, especially youth programs. What a nice combination – Larry Potterfield and The Mule Deer Foundation. Nine of the ten winners await the anouncement of the tenth and final winner. 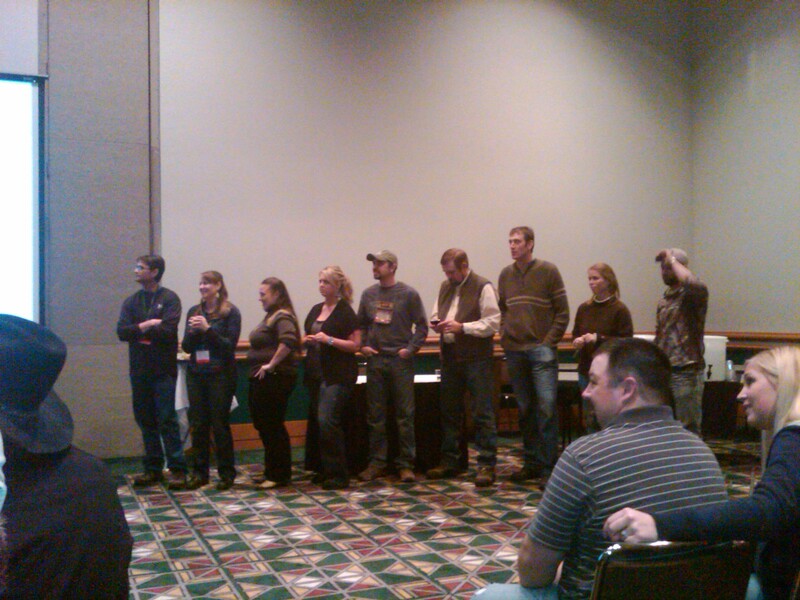 ….and quite a few sheep-hunting ladies packed the room at the Salt Palace last Saturday. 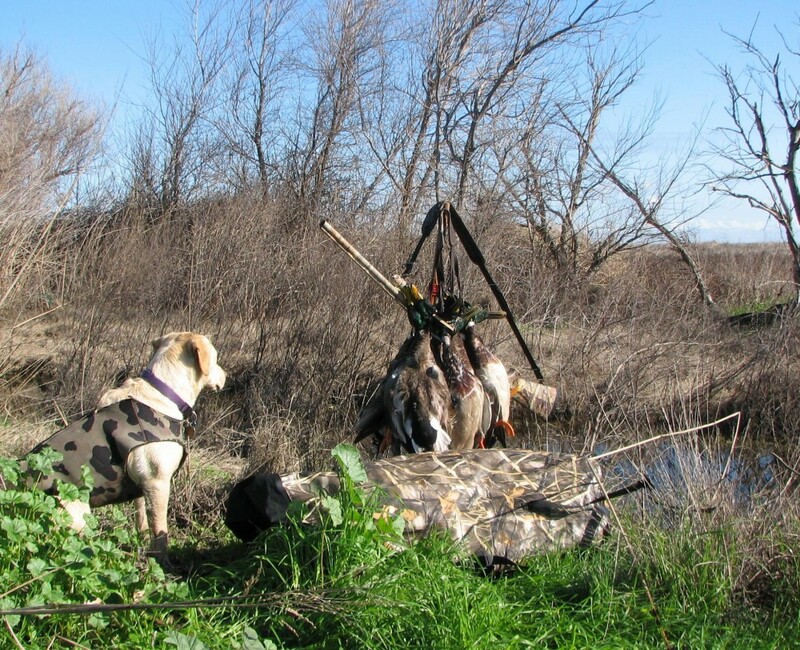 We all had one thing on our minds – hunting wild sheep. When measuring by emotion, wild sheep are likely the most sought after of game in North America. There are many emotions associated with hunting wild sheep. Why? the grandeur of their habitat, their beauty, scarcity and elusiveness are a few reasons – rugged mountains and the price of a hunt are two others. 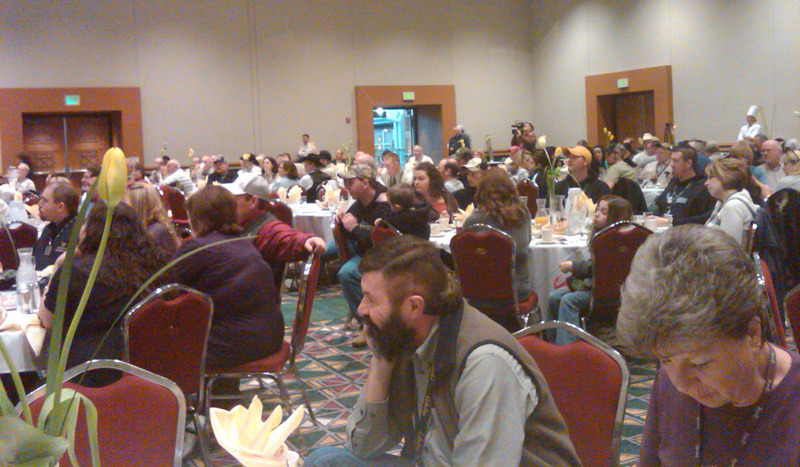 As I sat in the room with the other 1,000 plus sheep hunters I was feeling another emotion. I knew that I had about a one in twenty or so chance in drawing a Dall sheep hunt in Alaska or the Yukon and the winner’s names were about to be called. I’ve never been so optimistic about my chances of winning a significant drawing. It didn’t end up that way, but I know I’ll be hunting sheep again one of these days and I hope it’s sooner rather than later. How did this opportunity happen? Don Peay of Utah’s Sportsmen for Fish and Wildlife (SFW) and Carl Malone of NBA fame, teamed up to create a new program to promote sheep hunting opportunities in North America, especially for those who have limited ability to purchase or draw a tag. By joining their new organization, The Full Curl Society, at a price of $40, members were presented with one entry in their “Sheep Fever” drawing and the one entry gave me three chances to draw a Dall sheep tag. What a bargain. With several categories from which to be drawn, each member had a variety of opportunity – too complicated to explain here. Along with the drawing, Don Peay honored about a dozen sheep hunters for their contribution to sheep hunting and conservation – among them was his good friend and SFW supporter Carl Malone and also Bay Area Conservationist (Mule Deer Foundation and California Deer supporter) Dan Smith. Malone, beloved as a basketball player and respected for his contributions to conservation, greeted each of the inductees to the Full Curl Society Hall of Fame at the podium. It was quite an event. Ten sheep hunters received a chance to hunt Dall or Stone sheep and about half of them had never had the opportunity before. One lucky hunter received an opportunity to hunt for desert big horn in hopes of completing the cycle of North American sheep species, Rocky Mountian Big Horn, Desert Big Horn, Stone sheep and Dall – often referred to as the Grand Slam.